Pakistan Super League 2019 special, Kings eliminated today. Pakistan Super League 2019 special show. Karachi lost eliminator match against Zalmi and will not play final in Karachi. PSL Match updates, results and predictions. PSL Matches updates, results and predictions. PSL match result analysis, updates and predictions. PSL match result analyses and prediction about upcoming. PSL Special show with result analysis and prediction about upcoming. Special transmission for PSL final in Lahore. Pakistan Super League special show. Special program on Pakistan Super League. 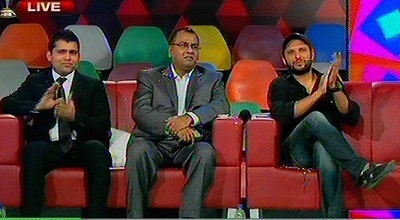 Pakistan Super League special show with showbiz stars. Very crucial match between Karachi King and Islamabad United. If Karachi wins it will qualify f..
Special program on Pakistan super league match between Karachi King and Quetta Gladiators. Analyzing Karachi King vs Peshawar Zalmi match. Pakistan Super League Special show, discussing about today played match. West Indies won the T20 world cup 2nd time. West Indies out class Indian team in 2nd semi final of World T20. England easily beat New Zealand in first World T20 Semi Final. First semi final of World T20 between New Zealand and England. Pakistan out of World T20. PAK women beat Bangladeshi women team in World T20. India beat Bangladesh in nail biting thriller. Pakistan lost crucial match against New Zealand. Analysis on today match and predictions about upcoming matches of ICC World T20. Analysis, predictions and suggestion for World T20. Exclusive show before big game between India and Pakistan. World T20 special show with predictions about upcoming matches. Talking about Shahid Afridi statement and then explanation. Asia Cup T20 in Bangladesh and match between Pakistan and India. Pakistan Super League final match: Who will win the trophy? Pakistan Super League final between Quetta Gladiator and Islamabad United. Special show on Pakistan Super League with Reham Khan. Karachi King to meet with Islamabad United tomorrow in 2nd play off. What should be Karachi King's strategy for playoff matches. Karachi King lost his match now waiting for Qalanadar loss to move forward. An important match of Karachi King coming tomorrow. Predicting about upcoming Pakistan Super League match. Analyzing the defeat of Karachi King against Islamabad United. 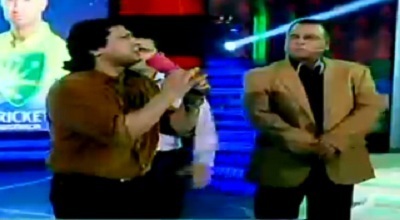 Funny talks with Naeem Abbas Raufi, famous singer & Asad Umar, MNA of PTI in this hilarious sho.. Celebrating victory of Karachi King against Lahore Qalandar. Karachi King lost against Peshawar Zalmi with narrow margin. Analyzing today's match to get right plan for tomorrow. Special show to cover all about Pakistan Super League. What should be the strategy of Karachi King for tomorrow match? Karachi King second consecutive loss in Pakistan Super League. Special program to cover Pakistan Super League. Discussing overview of all Worldcup matches; Performance of teams especially Pakistan: Chat wit..
You win or Lose in each case we love you. 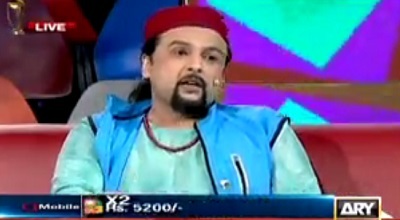 Special program with special guest member of junoon group Salman Ahmad Singer . Joy on the faces of every Pakistani after Australia defeat India. Talking on fitness and also making prediction for 2nd semi final between India and Australia. It's a matter of luck for South Africa. They never went beyond semis.